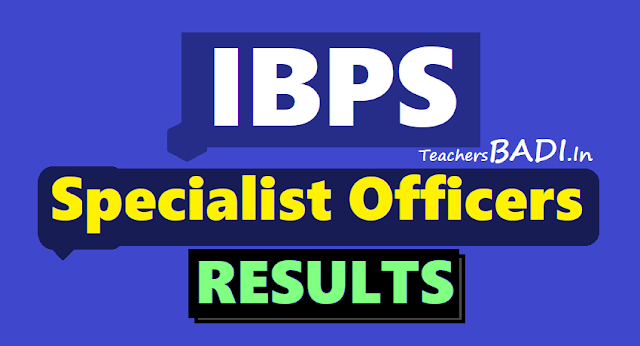 IPBS SOs preliminary Exam Results 2018, IBPS Specialist Officers preliminary Results 2018, IBPS Results 2018, IBPS Specialist Officers (SOs) preliminary Exam Results 2018: The Institute of Banking Personnel Selection (IBPS) declared the result of preliminary exam to recruit Specialist Officers (SO) in various public sector banks and other participating organisations. The result will be available for viewing until February January 15, 2019. Institute of Banking Personnel Selection (IBPS) has declared the result of the preliminary examination for the post of specialist officer on its official website ibps.in. The IBPS SO prelims exam was held on December 29 and 30. Candidates can check their online by logging in using their registration number and password. The result will be available online only till January 15, 2019. Candidates who clear the preliminary exam will be eligible to appear for the mains exam. The call letter for the successful candidates for the IBPS SO main exam will also be uploaded online very soon. How to download IBPS SO prelims result: Visit the official website - ibps.in. Click on the link scrolling at the top that reads ‘click here to view the result of online prelims exam’. Fill your registration number and password to login. Result will be displayed. Download and take its print out. Download of call letters for interview: ..